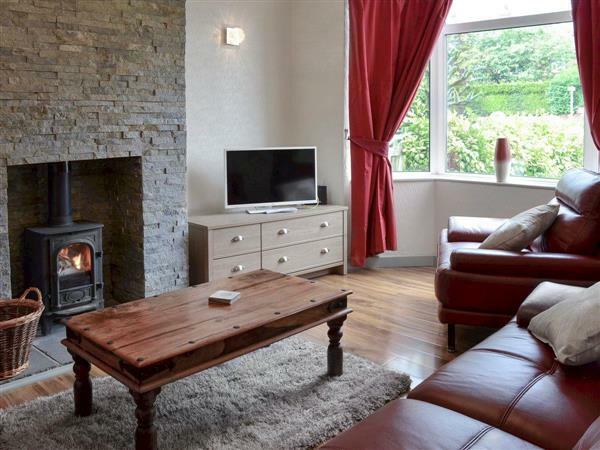 Alanna near Scarborough, Yorkshire sleeps 6 people. Alanna near Scarborough is a fantastic property, thoughtfully furnished to a good standard and provides the perfect base for a family getaway. The property is situated on what used to be the main road leading from Scarborough to Filey. The property is split over three floors, with the second floor boasting a spacious double bedroom with an en-suite shower room. Situated between Scarborough and Cayton Bay, the property is ideally situated to visit the east coast, the North York Moors National Park and the Yorkshire Wolds. The village of Osgodby is only a short stroll away where you will find a shop and local pub. The beach is within walking distance from the property, and you can walk into Scarborough either along the beach or along the cliff top, which forms part of the Cleveland Way walk. For those of you who enjoy walking, you can walk along the Cleveland Way towards Filey, or in the opposite direction towards Scarborough, Robin Hood’s Bay and Whitby. Scarborough has two sweeping bays, perfect for a stroll along the seafront. There’s plenty to do for children, with the Alpamare Water Park, Peasholm Park and the Sea Life Centre all close by. There are also some excellent restaurants and the fantastic Stephen Joseph theatre, home to most of the world premieres of Alan Ayckbourn’s plays. Whitby, Robin Hood’s Bay, Flamborough Head and Bridlington are just a short drive away, as well as the RSPB bird reserve at Bempton Cliffs. The beach is ½ mile from Alanna near Scarborough. With the shop and restaurant 2 miles, and the pub 1 mile from Alanna. Ground Floor: Living room: With wood burner, 32 Freeview TV and DVD player. First Floor: Bedroom 1: With double bed and Freeview TV. Second Floor: Bedroom 3: With double bed, Freeview TV and en-suite with shower cubicle, toilet and heated towel rail. Gas central heating, gas, electricity, bed linen, towels and Wi-Fi included. Initial logs for wood burner included, remainder available locally. Travel cot and highchair available on request. Welcome pack. Small enclosed courtyard with sitting-out area and garden furniture. Bike store. Private parking for 3 cars. No smoking. Holidays at Alanna run from Friday to Friday. For a better idea of where Alanna is, you can see Alanna on the map below. Alanna is in North Yorkshire; should you be on the lookout for a special offer, you can find all the special offers in North Yorkshire. It's always worth checking to see what is on offer at the moment. Do you want to holiday near Alanna (UK2265), you can see other cottages within 25 miles of Alanna; have a look to find your perfect holiday location.